Good news for all speed freaks and bike lovers! Now you can sparkle like a star in just one click. 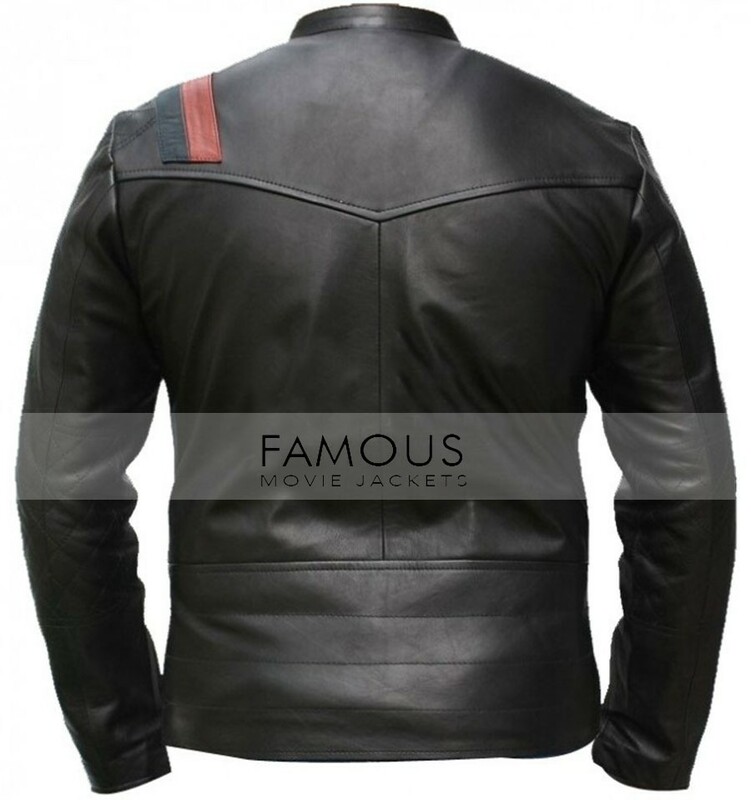 www.famousmoviejacket is offering you a refined yet urbane biker black leather jacket. The black speed motorcycle jacket is made of 100% pure and genuine leather material externally and internally fabricated with the soft viscose lining. It is comprises of exciting features such as snap tab round collar and YKK zipper placket. 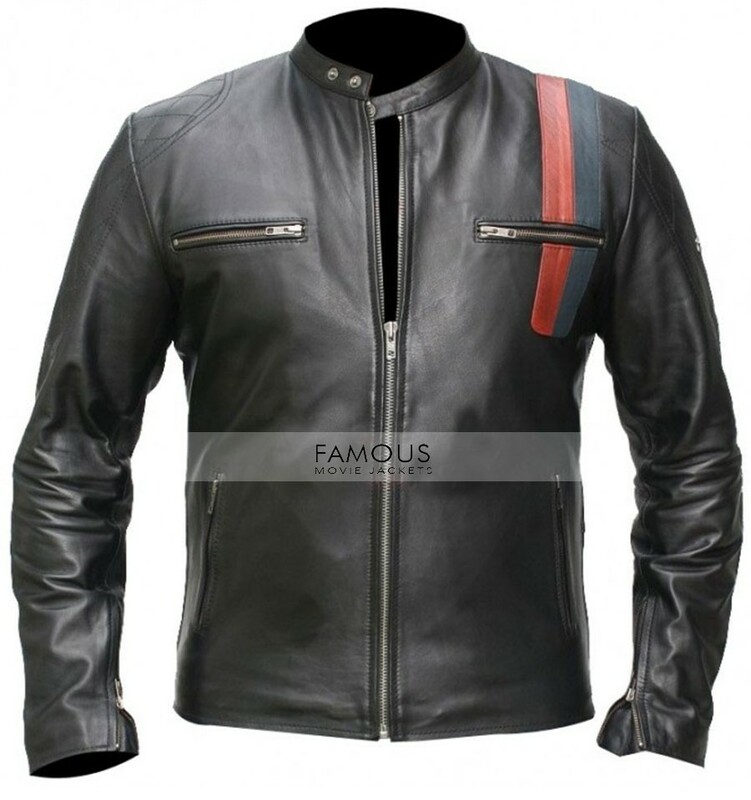 The most exhilarating part of this black biker leather jacket is the red and blue leather patches on a shoulder to enhance the grace in your biker persona. This season stay glam and have a joyous ride.